Health experts such as Frances Largeman-Roth have provided advice on what vegetables we should be choosing based on colour and why. Red: Many fruit and vegetables that are red are high in heart-healthy nutrients such as vitamin c, potassium and fibre, a powerful antioxidant named lypocene, associated with reducing the risk of cancer. Tomatoes are a great source of nutrients. Green: These are reported to “offer up mega amounts of antioxidants for longevity-boosting benefits”. Green vegetables have reported to be linked with properties that assist the liver in potentially reducing cancer-causing compounds. 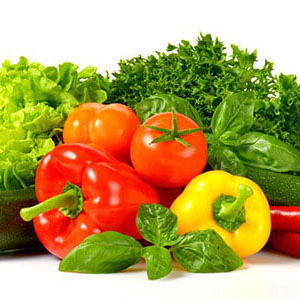 They are also good sources of potassium, carotenoids, folic acid, vitamin k and omega 3. Best is broccoli, and also other greens such as spinach, cabbage and rocket. Orange/yellow: Many of these have beta-carotene, which is converted into vitamin A and is good for the eyes. These foods also help the immune system and assist in reducing cancer and heart disease. Squash and mangoes are good choices.